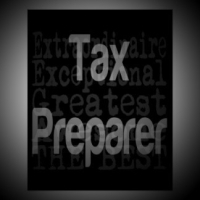 Let’s Make Tax Preparers Better! For the price you already pay for your simply tax returns please the nonprofit Taxpayers of America Association for tax preparers certified as an IRS TAXMATCH® . — Nigel Shufford, IRS TAXMATCH®, Qualified Tax Expert, Tax Preparer, Business Consultant & Entrepreneur, Creative Thinker and MBA.